In the year 1931, a director called Raphael Algoet made a silent movie named ‘His Love Affair’. The lead actress in the movie was B Jayamma. The movie was produced by a company owned by famed Kannada theatre director Gubbi Veeranna, who happened to be Jayamma’s husband. It also starred Gubbi Veeranna in the lead role. ‘His Love Affair’ was just one of the many movies in which Jayamma acted. She later performed in many Kannada and Telugu talkies apart from silent movies. B Jayamma was born in 1915 in Chikmagalur district of Karnataka. She started off as an artiste at a very young age, acting in the plays produced by Gubbi Veeranna Nataka Company which was also based in Karnataka. Due to her association with this company she is also known as Gubbi Jayamma. Jayamma later began to work in silent movies and talkies. She was a prominent actress during the 1930s and 1940s. She starred alongside her husband in many of the plays and movies in which she acted. She was also a competent singer who even sang for many of her own films. ‘Brahma Ratham’, ‘Thyagayya’, ‘Hemareddy Mallamma’, ‘Swarga Seema’, ‘Jeevana Nataka’ and ‘Hari Maya’ are some of the movies in which she has acted. ‘Brahma Ratham’ was a Telugu film based on a novel of the same name. ‘Thyagayya’ was also a Telugu film; it told the story of a saint named Thyagaraja. ‘Swarga Seema’ was another Telugu film in which Jayamma played the role of a neglected wife; she also did some playback singing for this film. 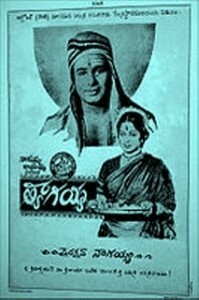 ‘Hemareddy Mallamma’ was a 1945 Kannada film. It told the story of a woman named Mallamma and how she deals with the many hardships in her life. Jayamma played the protagonist in the film. ‘Jeevana Nataka’ was again a Kannada film. In the movie, and Jayamma played the role of an actress in a drama company, something close to her own life. ‘Hari Maya’ was a silent film. In 1981, Jayamma was nominated to serve as member of the Karnataka State Legislative Council. She passed away in the year 1988, bringing her incredible journey to an end.